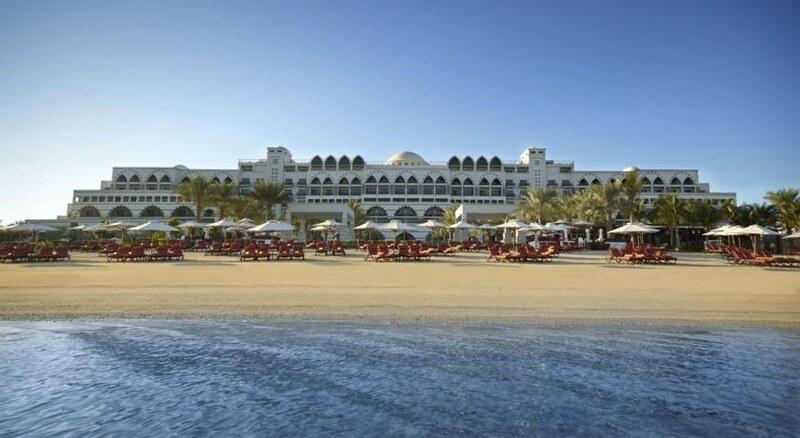 Jumeirah Zabeel Saray Dubai is an iconic five-star luxurious resort located on a pristine private beach by the West Crescent of iconic Palm Jumeirah in Dubai. Built in the majestic architecture of Ottoman empire, and with its royal residences surrounding a placid lagoon and lush tropical gardens, this low-rise complex is the ultimate accommodation choice for those seeking luxury with unmatched levels of services and hospitality. 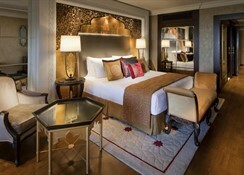 With interiors, where every wall is meticulously hand-painted with Turkish murals reminding one of Tulip imperial age, a culinary extravagant experience supported by as many as 60 of the finest local restaurants and an inviting 59-metre Infinity Pool plus soft sands of the private beach, enjoy your Dubai City break in quiet privacy when you check into at Zabeel Saray. 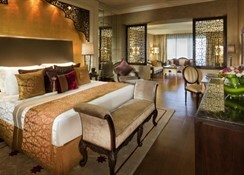 Jumeirah Zabeel Saray Dubai is situated on the iconic Palm Jumeirah archipelago on the Western Crescent. Situated close to the Jumeirah Beach Hotel, it offers access to a private beach. The mall of Emirates, a luxury shopping destination is 18 km away. 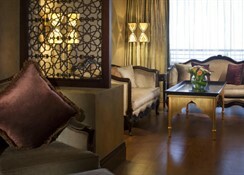 The hotel is 23.5 km from Al Maktoum International Airport. Jumeirah Zabeel Saray Dubai has 379 opulent guest rooms, there are 26 suites, plus the 38 Royal Residences offers four/ five bedroom villas with stunning décor, rich furnishings and Turkish marble with a lagoon/sea view to boast of. All the rooms have deep soaking tubs, marble bathrooms, free WiFi, LCD satellite TVs, pillowtop beds, iPod docks, furnished balconies with magnificent views of lagoon/sea. 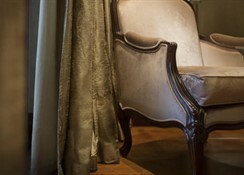 Superior rooms/suites may have private lounge access, living/dining space, sauna, kitchenette and services of a butler. Jumeirah Zabeel Saray Dubai guests can be spoilt for choice to enjoy a complimentary and sumptuous dinner at 40 local restaurants with the unique Jumeirah Flavours experience. 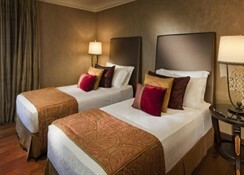 The hotel itself houses as many as 10 fine dining restaurants besides offering a free breakfast spread. There are lovely bars like beachside Plaj, the chic Voda Bar, and the sizzling The MusicHall. The hotel has large indoor and outdoor pools for guests to splash about, a Sinbad-themed kids' club to keep tiny tots occupied and two tennis courts. The Talise Ottoman Spa, housing 42 treatment rooms for relaxing massages and therapies, a snow rooms and many other facilities is a delightful escape from stress and worries of the world. Jumeirah Zabeel Saray Dubai offers free shuttles to Wild Wadi Waterpark, top Dubai malls and Madinat Jumeirah.